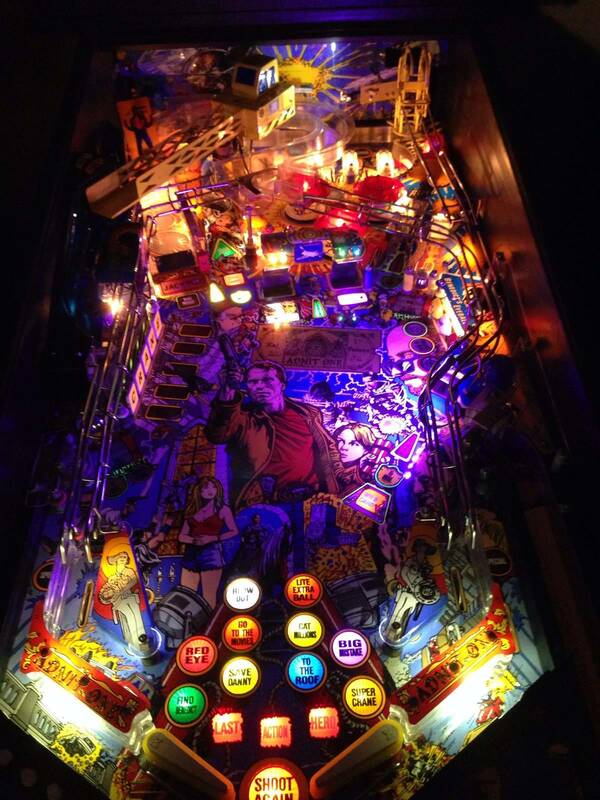 » Forum » All Pinball » All modding! » Let's see your UV (black light) mods! » Let's see your UV (black light) mods! Let's see your UV (black light) mods! UV-reactive tape from Hobby Lobby, $13 for a big roll. I bought it to light up some custom artwork on one wall, but it fills the whole room. Bump to keep this at the top, love this stuff. I'll post pics of the wall art when it's done. These are no cheesy black light posters; I found some amazing art at a tattoo place in Wilmington SC. 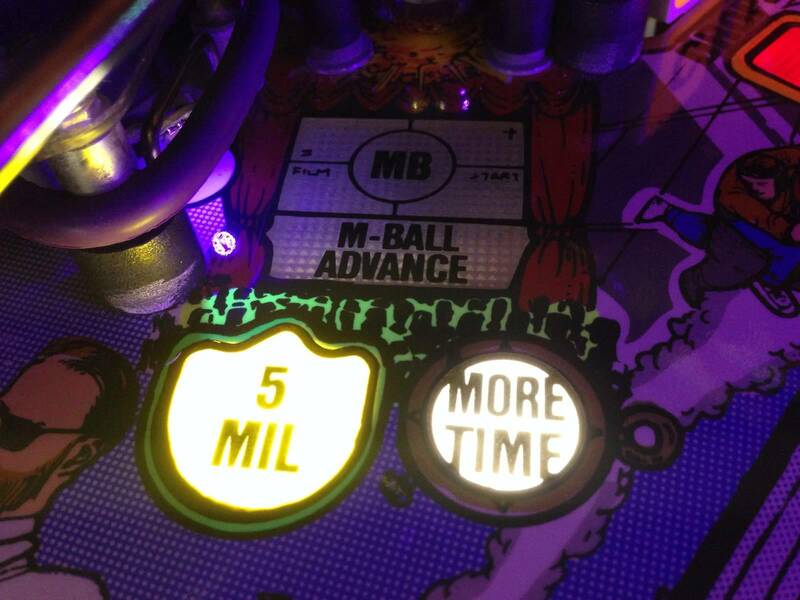 Then I made a pretty cool high score board with glass and fluorescent paint pens. I hope to get it all up before league night this Saturday. I tried black light mods. The only problem is just like in your picture, it only works if the game is turned off. 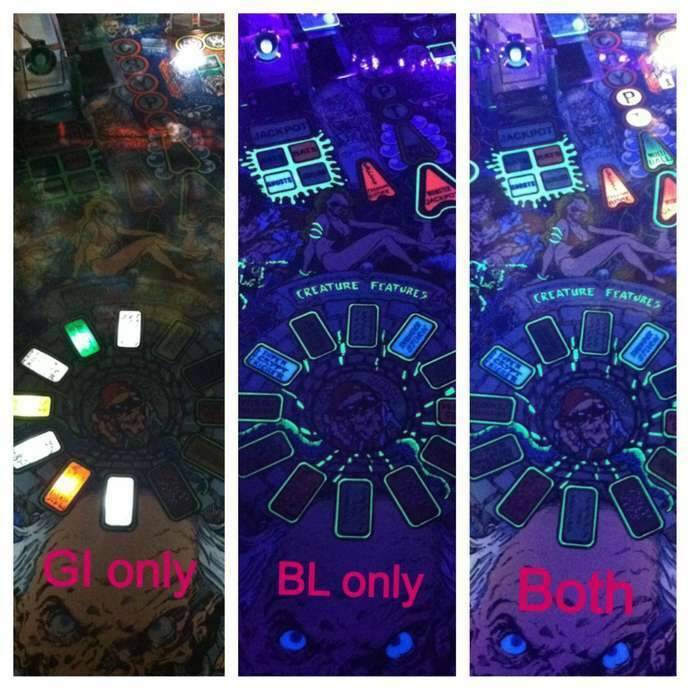 Once you turn the game/games on the brightness of the LED's eliminates the blacklight effect. I wish there was a way around that. The ultimate. UV lights come on about :24 secs in. 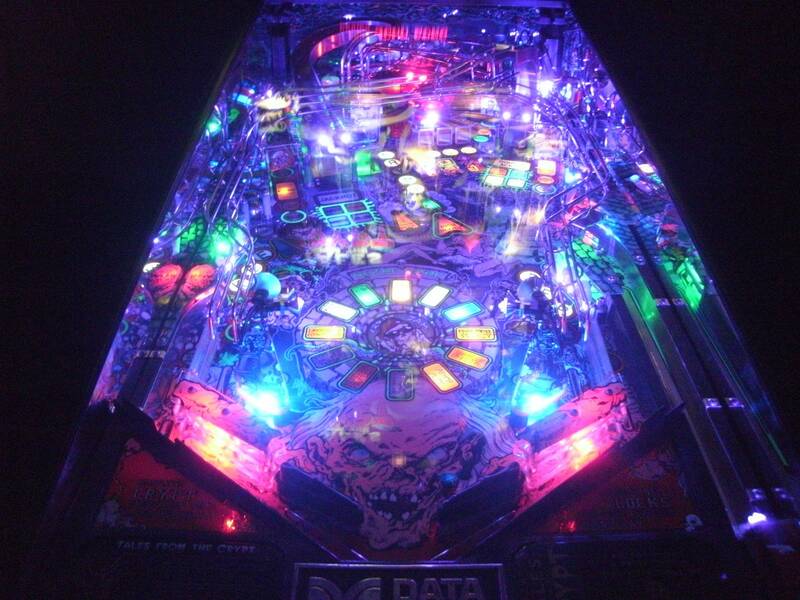 EL-wire on ramps, photo-reactive clearcoat on all metal. Got the LEDs strips with the 3m backing and allied it inside the cab on the left and right side, just under the glass following the glass line one both sides, so it ran parrallel. I also wired in a dimmer/ on and off switch so that I cold not only remotely turn on/off the LEDs, but also control the intensity, as I figured some might like it more or less than others, and some not at all. I think they came out neat and really make the DE blacklight artwork pop! Where did you get your uv strips? How did you achive that? This is amazing! Can you elaborate with more pics on where you placed the strips. I can't envision what you are saying. You put the strips at the top of the cab just under the glass? 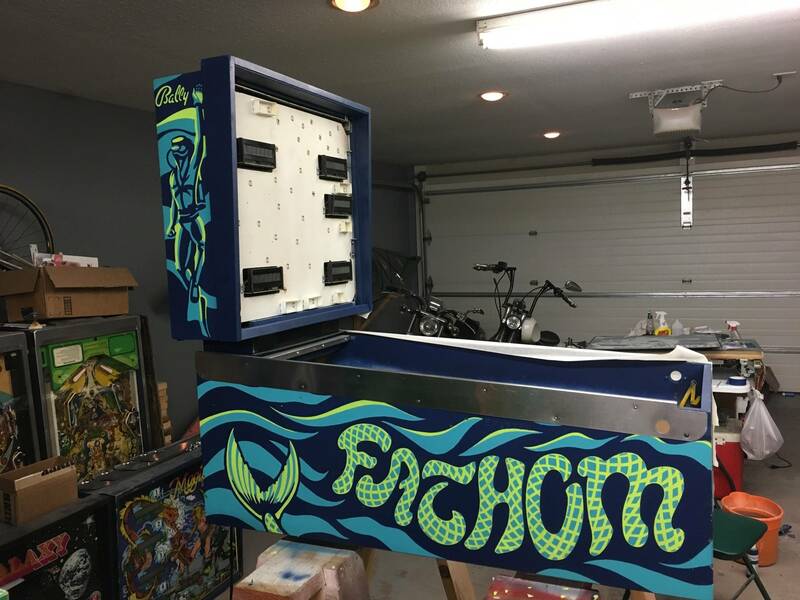 Doesn't it interfear with you lifting and lowering the playfield? 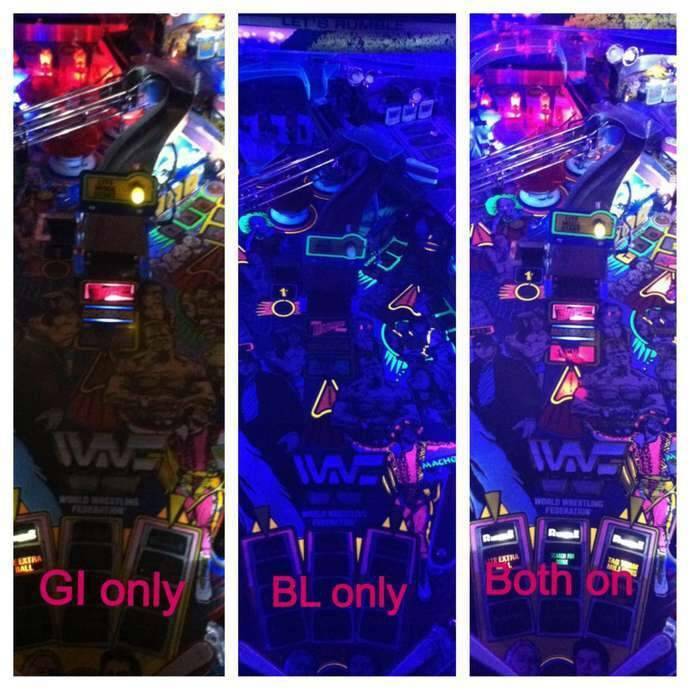 Where did you get the black light strips from? 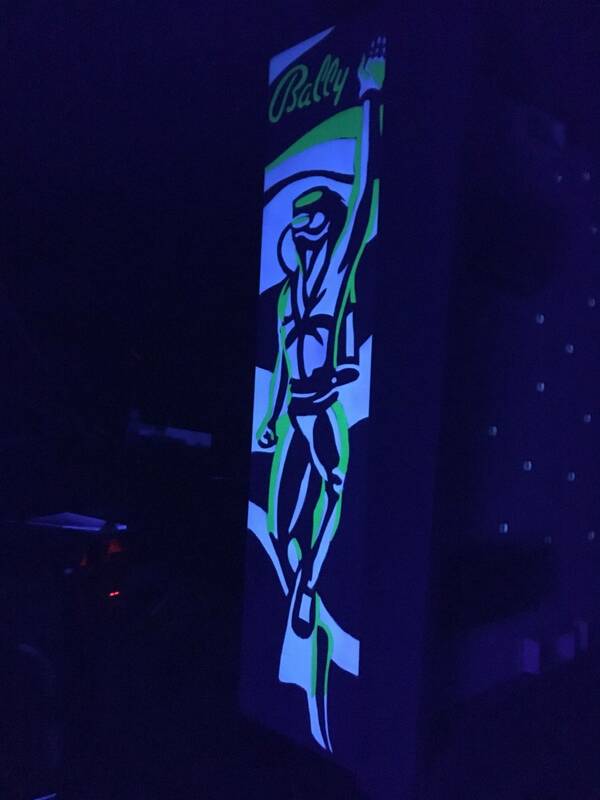 The GI in Jumping Jack isn't bright enough to wash out the black light effect. Also, the ADJ UV light is really bright, so any flourescent color really lights up. It looks like EL ribbon even with the game's lights on. 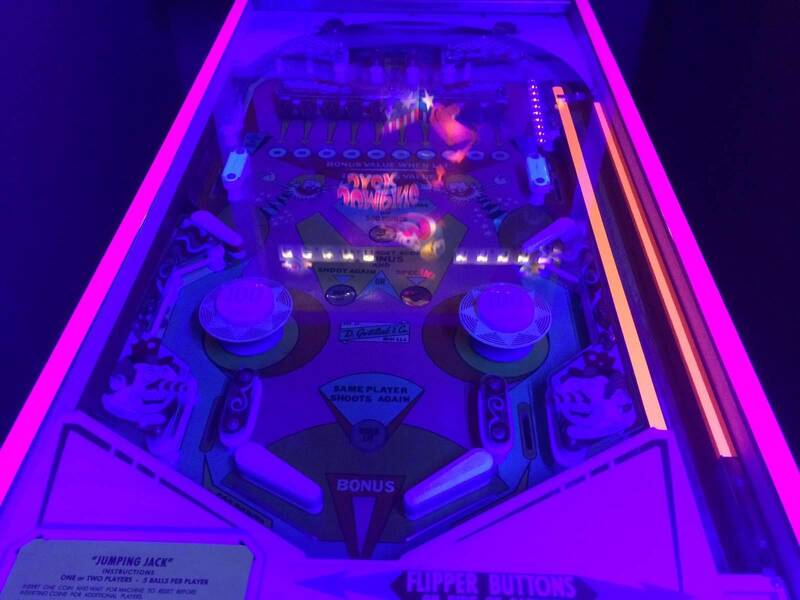 I added a UV bulb in the GI on LAH to light up the 'crowd' in front of the movie screen, and added a purple LED strip on the ramp that lights up the playfield a bit like a black light to make the colors pop. I saved the Amazon link to my wish list so that I can look at it if/when I get Predator in there, because I've already got UV paint ready to make some Pred blood splatters on the walls. I've already got UV paint ready to make some Pred blood splatters on the walls. I wish my wife said things like this. Cool, seems like my little mod is liked! I got the strips of black light LEDs off eBay (link included below), which included the power plug and adapter. They have 3m tape on the back of the led strips, so I followed the line for the glass, putting the lights just below the channel for the glass to slide in (found this was a good spot, as it was high enough up on the wall to hit most areas of the PF with the black light's light).this is INSIDE the cabinet on the BOTH the left and right side walls, and since the led on the 3m tape are so thin, there is just enough room for the PF to go up and down...don't get me wrong, it's tight, but it works. If I was more confident with my router abilities, I would cut a line out for them to go in that rubs parrall with the glass, but there is no way I feel confident enough to take a power tool like that to the cabinet for a mod. Anyways, once I had it taped up, I cut the excess of the led strip, which can be trimmed every 3 LEDs. Dropped the wires in to the cabinet, hooked wires up to the power plug. 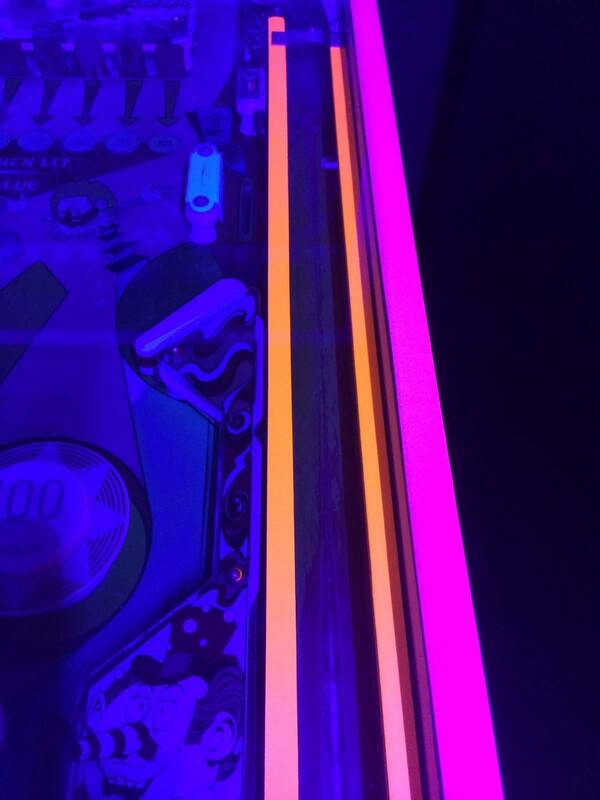 I decided to put a dimmer switch (got from same eBay seller) in the line, and put it just inside the coin door, as it allows you to not only turn the black light on and off easily, but it also allows you to control the intensity, as some players may want more or Jess. Finally, i simply ran a regular extention cord in through the back of the cabinet (moved the grating off of one of the vent holes in bottom of cab, and just put cord in through that) to give the led unit the power it needs (one plug that comes out if the dimmer switch). I am a bit weird when it comes to electronics, as i tend to always worry that something i did may fo wrong, or there could be a fault in the electronics i installed. so I made it so that all the controls/power are right by the inside of the coin door. Not only can I control the brightness and intensity of the LEDs, bt I can also unplug the extention cord from the LEDs when not in use. 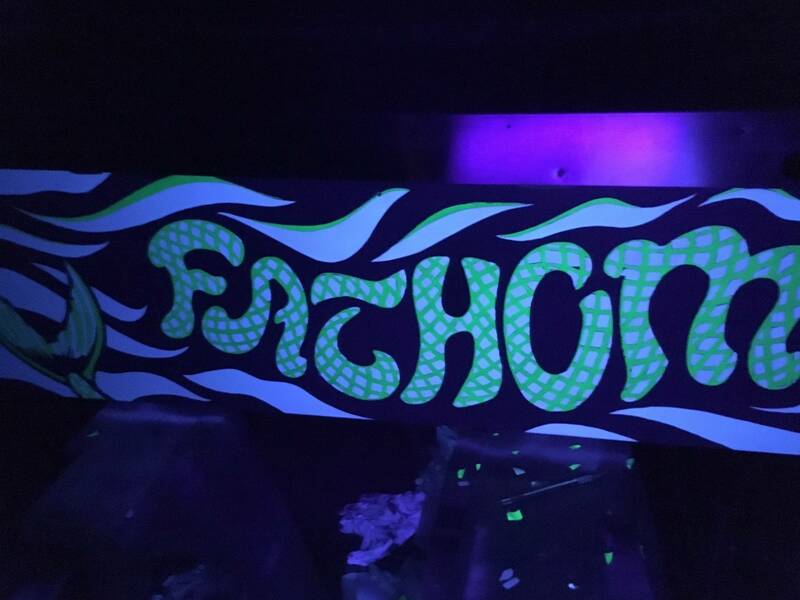 Here is the link to the link to eBay, don't be fooled by otters that look like blacklights, you need the UV ones like this. Excellent, thank you for the write up. 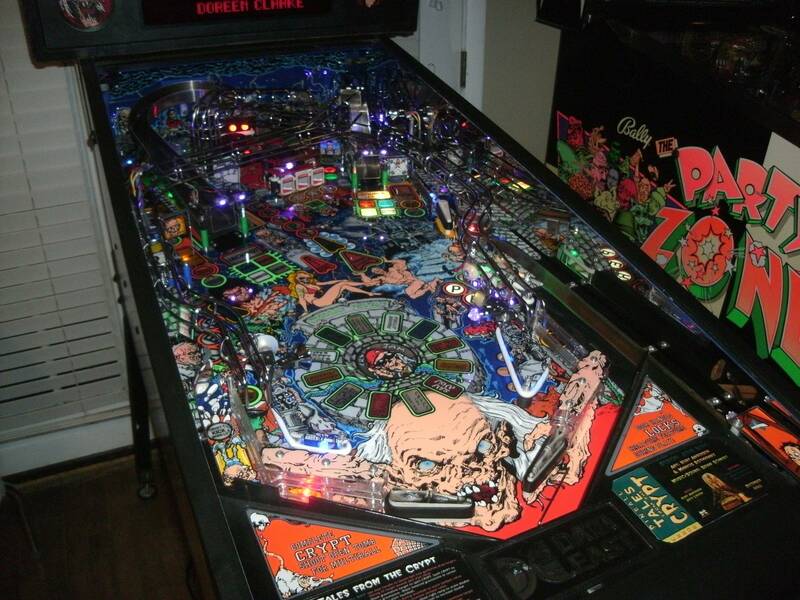 I want to do this to my T2, it would look amazing with blacklight. One more question though. Those strips are bright, with them just under the glass on both sides they are in plain view by your eyes. Aren't they too bright right there in plain sight and hurt your eyes? Or did you find a way to hide them? I know I can probably hang a light fixture over the game, but then what if I want to move it? Then I thought, what about strips of UV LEDs? I could stick a strip on each side of the head bezel. Then maybe mount some kind of small ledge on the bottom edge of the cabinet to mount a long strip facing up. Might be good to just shine on the one side of the game. These strips would be good if I decide to mount them to the cabinet. This one looks like it will light up most of the room! The first one is nice and small and directional but 12 watts aint much. The second one wouldn't very well, it would light up the first few inches really well but that light would fad quickly and not evenly. The third one would light the side evenly when it's mounted above and to the side, it's directional which is good but again 27 watts aint much. I have a lot of bl in my room to get the desired level of bl light up. See my pictures in the Show your gameroom topic. See my pictures in the Show your gameroom topic. Thanks for the suggestions. I think I'll go with a directional one and mount it to the ceiling. I have an outlet up there that powers some fluorescent lights now. Here's a TFTC I did a while ago with a NOS cc pf and 7 different types of Comet UV leds!